Progress: GCode interpreter flying success! I was able to print out the first layer of "motor clamp" using a pen tacked onto the Z-stage. Sweet! That looks like a plotter. You've built a mini home-made plotter! Just introducing myself. I'm working as a 3D animator in Los Angeles. Previously I worked as a CAD draftsman, and before that as a structural aluminum welder with some manual machining. I'm mainly interested in exploring how rapid prototyping can be used as a means of making art. Welcome! I'm interested in all those things which you've done, you lucky guy! I'm afraid I'm a wee bit short on time these days. I work a full-time job, then come home and work some more on a moonlight job until about 10pm, then try and get some sleep so that I can repeat the process again tomorrow. The deadline looms ever closer. But when that's over, I'll have lots more time to work on my own personal projects. 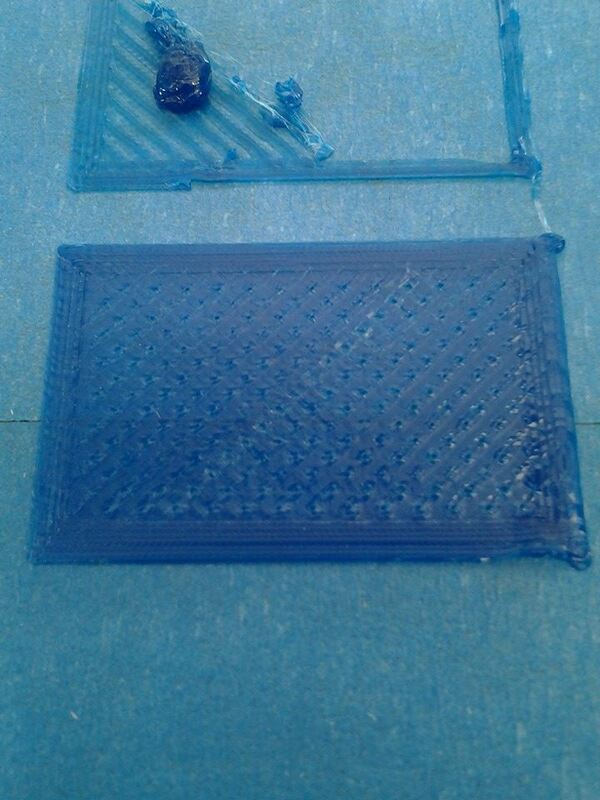 I think making art with a RepRap is a great idea! And it sounds like you've got all the skills to do it. Will you keep us updated on your progress as you go along? I have a shop with 2 cnc mills and years of experience with sla. Has anyone in LA made a rep rap yet? I am planning a reprap build. Anyone building one right now and doesn't mind me tagging along or anyone interested in building one together? I got my reprap build started. If anyone is interested I am in LA's SGV area and my build progress can be found at [tcp-imp.com]. I need to finish my reprap and hopefully with enough people we can get the build momentum going and help everyone finish their builds. Originally I thought about using makerbots to print the plastic structural pieces but I don't have a makerbot and the print area is a bit small to tackle printing all the parts. If anyone is in the Los Angeles area and would like to build a reprap/repstrap together please let me know. I have some basic hardware to do smt soldering, laser cutting, and cnc milling. Thanks. I am a bright guy with a lot of big ideas. I have a Bachelor's degree in theater and an AAS in Electronics Engineering from ITT Technical Institute. I am currently the proud owner and operator of Whalebone IR and Software, a company that is making and sell Wii Remote Control based Interactive Whiteboards. I am very excited about Mendel. I have ordered a laser cut complete kit and I am thinking that I will need a little help putting it together. I am a self-taught programmer, fluent in 4 to 5 languages, and I am handy with a soldering gun, but my CAD skills are only so so, and the scariest part is programming and connecting the micro-controllers. So, I suggest that we get together and even create an official club structure, elect a president, vice-president and treasurer, and get a place where we can meet and build. I know some of you have great garage workshops, am I right? You can be president if you let us come over. Hello folks! We are three students at Pomona College (Claremont) who are doing an independent study to build a Mendel this semester. We have already ordered almost all the parts and will hopefully be able to print the plastic parts at Harvey Mudd (an adjacent college). Are any of you folks still working on your builds, or finished? We would love to come see a finished build or communicate with other people who are in the process of building a Mendel. Hey all, I'm new to the RepRap forums/world. I've just recently gotten back into electronics by building a robot with my son. I've been looking at RepRap and I am interested in moving in that direction. I am thinking I might build a CNC machine as a repstrap to get started and would love to chat with like minded folks. I have a pretty decent toolshop for regular work (radial arm saw, drill press) but am new to the fabrication world. I am in Simi Valley just barely outside the valley. I plan on building a RepRap and look for any insights you may wish to offer. And too, feel free to contact me at casey_kemp@yahoo.com. Hello guys, I just built a makergear prusa mendel reprap. Im having trouble with the software and just how to get started printing. I was wondering if this goup was having any meet ups soon, or if someone around the 91360 area could help me. I'm late to the party, but very excited to have built my BfB RapMan last week. Already printed quite a few things and every person I show anything to is utterly amazed, as am I. I mean, I just download something from the internet, and it prints. Amazing! I'm in North Hollywood, have been programming since 1997, some web, and a lot of industrial machines. 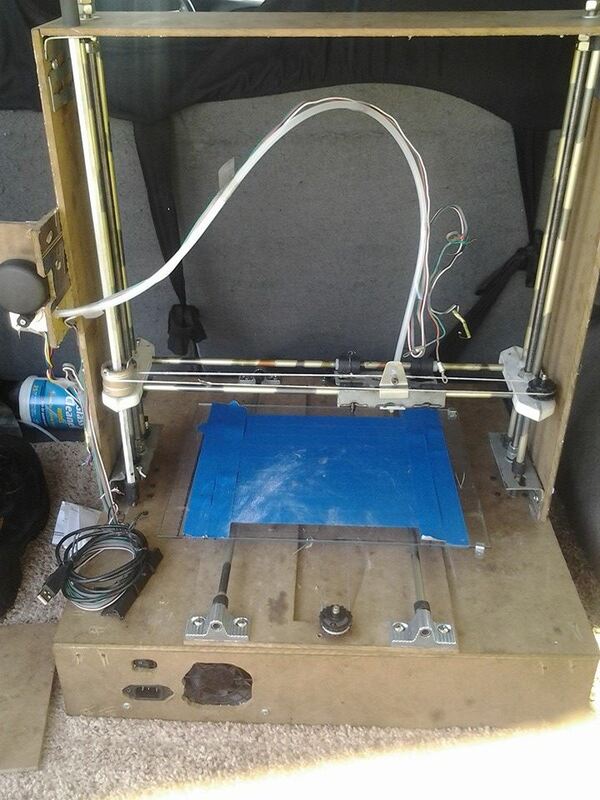 3d printing combined with Arduinos makes nearly everything possible. I live in West LA (near Santa Monica)... I built myself a RepStrap out of junk i had lying around/salvaged... I got it working pretty well and have been printing with it for about 3 months... I just finished printing out all the parts i needed for a Prusa Mendel.... It's basically done, but i just need to build a new hot end for it. It would be sweet to have an LA RepRap meet up sometime... I don't know know anyone else with a 3D printer (other than people online), so it would be cool to get to know some people who have RepRaps in real life, haha. Would anyone be down for something like that? Hey guys. would love to come to a meet up. I had a mendel but im trying to buy and make something more reliable now. I am studying 3d design. Hope i can get intouch with you guys. Hey Kurt, what part of LA are you in? I am definitely down to get together sometime, it would be great to get some other people in the LA area together too, but no one seems to be too active/responsive here in the LA group... there are a few people who have left email addresses, so maybe we could email and or PM everyone who has posted in here and see if anyone else want to have a meet up. I'm in Marina del Rey and am considering building a Makerbot or an Ultimaker if a detailed BOM is ever published. I'm working on a robotic boxing partner (punchingpro.com) and would like to be able to prototype parts. Let me know if you guys meetup. Hey Chris, a robotic boxing partner sounds pretty cool! And yeah, a 3D printer would definitely be really helpful in prototyping parts. I really would love to get a meet up going... I would totally be down to initiate it or get the ball rolling, but im just not sure what the best way to contact everyone is.. You'd think this forum would be a good place, but people don't seem to check it much or respond.... If people left their email addresses i could start to put together an email list, maybe even make it a google doc and share it with everyone so we can coordinate things a bit easier. Im open to other ideas too. Right now i have a pretty much complete Prusa Mendel, im still just working out a few kinks, but it would be great to get feedback from other people in the LA area and just get to know some other RepRappers. Hello, Corby here, I built my own repstrap, and realized there were no groups on Facebook for repStrappers, or those of us using our own design ideas and making a printer from what we had available. So I started a repstrap group and wanted to get the word out for anyone interested. I am based in Eagle Rock, and work in Glendale. Check out my group to see what I am working on, and I am certainly interested in seeing what all of you are doing as well. My tablet won't let me post a link, I'll try to edit/add one shortly. My name is Damon and I am located in Burbank. I am very interested in meeting on an on going basis. I am semi retired from the software industry. I have been a Sr. QA Automation Engineer and am looking to start a 3D printer business. I think this is going to be the biggest thing to explode and I am hoping to bring people together to get it going. Since the RepRap is open sourced we should be able to do this. Even if no one here is interested in that, I am still VERY interested in going to group meetings. May I suggest setting up a MEETUP group? It is easy to do and can allow everyone locally to get email etc of scheduled meet ups. What I bring to the table is the ability to ensure quality and innovative ideas by thinking outside the box. I would welcome any and all criticism, and ideas. 3D Printing. I am a newbie, but have been doing extensive research prior to getting and building my first printer. I have finally settled on the PRUSA i3 as my first printer. I am going to be ordering it this coming friday and look forward to putting it together to give me an even better understanding of the process of building a 3d Printer. This will give me a new skill in identifying areas of concern/risk for when developing a sub 300.00 plug 'n play model for the consumer. I for one minute do not think this is going to be a simple thing, but I do believe that a group of people who are bright and adventurous can make it happen. What sat you? Hello , my name is Arman. I read on [forums.reprap.org] about you. I stay in the San Fernando Valley. I am interested - What is your experience for that day? Do you have your own 3d printers now? How many? How is it going? I just started these theme. I am good in hand work, wire works, also I work with program language: such as 'Turbo pascal' and 'Asembler'. 'Basic' also too. So, If you are in the theme - we can meet and exchange experience. We have all long graduated. You know we never got our RepRap working well, and it has been bugging me for years. I would really like to get back into it and build a current gen RepRap. Anyhow, I'm actually up in the Bay Area now. When we were working on the RepRap in 2011-2012, there were actually two spectacular people who helped us out and even came over and helped us do some debugging. All the best of luck!